As Muslims, we are often informed by the local and international media of our innate ability to react emotionally to anything concerning religion. They say we react too aggressively to any remarks on our faith or system of values and have knee-jerk reactions to issues that can be solved through dialog. Yet, we have been openly harassed since 9/11 world over, for having a beard that is too long or for wearing a veil. 9/11 was a tragedy which should never have happened, thousands of lives were lost. It is also the tragedy that led to religious and cultural intolerance. Muslims living in the US, Canada and even Europe live in perpetual paranoia, with some resorting to non-disclosure of their culture and religion in the desperate attempts to blend in, to find refuge from the scrutiny in their adopted countries. Allow me to apologize to you for not being able to be present during your address to civil society at the hallowed campus of Government College University in my beloved city of Lahore. Much as I would have wanted to benefit from the wisdom of your analysis and foresight, I could not make the journey quickly enough from the remote town of Chilas where I was in consultation with the proponents of a major dam which shall displace 32,000 people and submerge 32,000 ancient rock carvings if and when built. Allow me to further explain that since flights were cancelled from the nearest airport in Gilgit, a tedious five hour journey on the Karakoram Highway, I was compelled to take the road journey over the Babusar Pass situated at an altitude of 14,000 feet above sea level, travelling a total of eighteen hours to Islamabad. Your Excellency, it was during this eighteen hour journey through some of the most desolate yet spectacular landscape of my country that I imagined speaking to you, being unable to join the privileged few who were invited to hear you speak both in Lahore and in Islamabad. As the vehicle carrying us made its way carefully over open culverts fashioned by the able engineers of the China Construction Company, as it slid over six inches of freshly falling snow, as it dipped into crevices swirling with glacial melt, and as it glided smoothly over the bits of tarmac which have survived the devastation of the 2005 earthquake which killed 70,000 people in these remote parts, I spoke to you, imagining that you were truly interested in what I, an ordinary citizen of this, my beloved, blighted country had to say. Jameel Jaffer and Amrit Singh may not mean anything to most readers. Jameel Jaffer is a London, Ont. born litigator for the American Civil Liberties Union and Director of the ACLU’s National Security Project. Amrit Singh is Manmohan Singh’s daughter and is a Staff Attorney at the ACLU’s Immigrants’ Rights Project. A casual glance at this picture above taken a few weeks back one would generally not have seen the anomaly but a careful look reveals the problem, a high level meeting in Washington between the respective Presidents of The United States of American, Afghanistan and Pakistan, seems ordinary enough. Generally such a meeting is attended by the official representatives of each country, Afghanistan being represented by President Hamid Karzai, the American delegation by President Obama and you can even see Vice-President Joe Biden, but the problem lies when you take a look at the Pakistani side of the delegation President Zardari, Shah Mehmood Qureshi, Hussain Haqqani and Rehman Malik, but what-the-heck is Bilawal Bhutto Zardari doing sitting right next to Mr. Asif Zardari. They met, they talked, they dispersed. The three were Presidents Obama, Karzai and Zardari. The common goal outlined by Obama is not commonly shared by the three leaders and their constituents. First: Al Qaeda is not an entity, a wholesome, unitary organisation, based on Pennsylvania Avenue or the Avenue of Americas that can be obliterated. It is an idea without headquarters. Ideas cannot be fought with guns, bombs and drones. Doing so will only force the Goliaths to select their weapons to find David. They can and should be fought with better ideas. John Bolton, the former interim US Representative at the UN is now at the American Enterprise Institute. He was “interim” because he was not confirmed by the Senate despite Bush Administration’s advocacy. Among other things he faced allegations of mistreating women employees working under him. Seeing the writing on the wall he resigned in 2006. He was also associated with the Project for the New American Century. Scroll down from here to Associations with Bush administration to get an idea of the people involved. Bush Sr. kept them at bay but the Junior did not have the spine and succumbed to the AEI lobbying. The results of that meddling are before us – Iraq, Afghanistan and the Economy. In a recent piece John Bolton wrote for the WSJ he espoused his fringe neoconzix views. Now that the Taliban have been driven out of Buner, and Pakistani forces have militarily engaged them just outside their Swat Valley stronghold, it should be clear to all that Pakistan can and will defeat the Taliban. Leap of logic by a person who could be the best Foggy Bottom Ambassador to Islamabad. Is this the same Army that is so fond of surrendering to the rifle armed Taliban militia by the hundreds? Is this the same Army that dithers and avoids fighting the insurgents? Is this the same Army that is trained and equipped to fight conventional wars? Under the Musharraf dictatorship, Pakistan probably was not as quick as it needed to be to comprehend the enormity of the Taliban threat. And after last year. ‘s election of democratic leaders, our new government had an array of domestic issues to address. Mobilizing all elements of national power, particularly public opinion, against the Taliban threat took time because many Pakistanis thought the Taliban were amenable to negotiations and would keep their word. In the Bajaur tribal area, for example, the army is fighting an insurgency led by Baitullah Mehsud, the leader of one of Pakistan’s three Taliban factions, but it’s not because he is a friend of al-Qaida. What makes him a threat, in the eyes of Pakistan’s army, is that he is believed to be responsible for scores of suicide attacks inside Pakistan (including the assassination of Benazir Bhutto). He is also thought to have recruited hundreds of Afghan fighters, among them ‘agents’ from the Afghan and Indian intelligence services – ‘Pakistan’s enemies’, in the words of a senior officer. An enemy in Bajaur, the Taliban is a friend of Pakistan in North and South Waziristan. Like Mehsud, the guerrilla commander Jalaluddin Haqqani, who directs the Afghan Taliban’s ‘central front’ from bases in Pashtun villages in Pakistan, has ties to al-Qaida. Unlike Mehsud, he’s not attacking Pakistan, and his fight against the US and NATO enjoys the support of the army and of broad sections of the Pakistani public. The same courtesy has been extended to Mullah Omar, whose headquarters are in Quetta, where he’s reportedly sheltered by the ISI. ‘They are our people; they’re not our enemies,’ one ISI officer says. More drones and more suicide attacks – Where are we going? As the new Afghan-Pakistan policy of Obama is unfolding it is now evident that the drones attack will be an essential part of it. Another drone attack in Orakzai agency was carried out yesterday that left nearly 14 dead and several injured. The victims included foreign militants, locals, women and children. Yes, it was collateral. The thing that strikes me immediately is that Orakzai agency is the only agency among the seven of FATA that does not border Afghanistan. Wait a minute – Had our bosses in the Washington not said that there will be drones only in the borderly areas? Or, if it should not be a concern as long as our Prime Minister is confident that the drones will not enter in Swat and Balochistan, after all this is from where the Pakistani governance starts these days on the map. Gillani looked really ugly when he announced with a sense of accomplishment that “they had taken up the issue of drone attacks with America and that there would be no drone attacks in Swat and Balochistan”. The Brave New Foundation has launched an effort Rethink Afghanistan to better help the American people understand the ongoing problem in Afghanistan and has produced the second video in its initiative. In the second video Bruce Riedel the leading foreign policy expert for President Obama’s Afghanistan review, has called it “the most dangerous country in the world today“. Pakistan has nuclear weapons and a government disconnected from the poverty, malnutrition, and lack of healthcare afflicting its people. Though Pakistan remains a U.S. ally, tensions continue to rise as the U.S. considers broadening military strikes within Pakistan’s borders. Part two of Rethink Afghanistan focuses on how the Afghanistan crisis affects Pakistan and all of us. Would We Understand Barack Obama? For quite a while we the visitors on this blog at least have been going through ups and downs and heated debates, we are not afraid to confront our political traumas and to discus religious or social dilemmas. We the Pakistanis are a surprise to ourselves. Largely we contained our anger, most importantly in response to Bombay blasts, reading back through comments there are so many different aspects and we have discussed that rationally. We have tried to maintain our pride, nationalism and genuinely tried to separate and investigate facts from propaganda and in a way it has helped us to understand propaganda against us. Barack Obama’s recent election as the next US president has been met with widespread acclaim all over the world. However, in Pakistan, which has been a frontline state in the ‘War on Terror’ since September 11, 2001, Obama’s victory has met with either cautiously optimistic or sceptic reactions. His recent statements about Pakistan have been hardly encouraging for the Pakistani people. Despite facing considerable opposition at home, Pervez Musharraf’s government allowed the US armed forces to use Pakistan as a base for staging attacks against the Al-Qaeda and Taliban in Afghanistan. But since the past one year, the War on Terror’s scope has expanded to the tribal areas of Pakistan. Many Taliban and Al-Qaeda leaders are believed to be taking refuge over there, forcing the Pakistani military to take action against these forces. 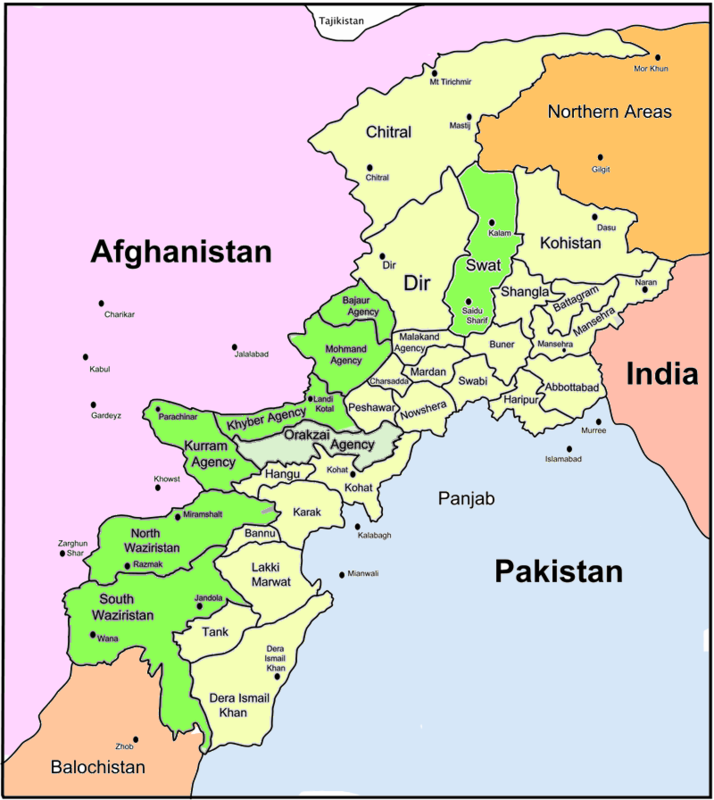 The new democratic government has also resolved to root out the Taliban from these areas. However, the recent American and NATO air strikes in the tribal regions, which have killed many innocent people along with some Taliban forces, have caused massive outrage in the country and soured relations between the two erstwhile allies.